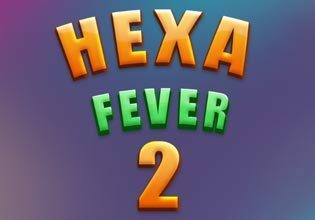 Hexa Fever 2 is here! Finally the most addictive strategic puzzle sensation returns - and it does so with a bang! Hundreds of levels that reach from fairly easy all the way to extremely hard provide you with brain teasing fun and entertainment for days! Place figures built from hexagonal blocks on the field, so the field is filled completely. Do not worry! The levels don't come with a time limit and you will have all the time in the world to move figures and to solve a puzzle. However, your reward will be higher the faster you complete a level. Come back daily, unlock achievements and rewards and solve daily missions to earn even more coins and get free hints.Play Hexa Fever 2 now for free and spend hour after hour solving just one more puzzle!